What are some things to do in the up and coming areas of Berlin? 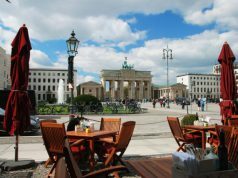 The three areas that stand out the most when we think of cool, growing places in Berlin are surely Wedding, Neukolln, and Friedrichshain. The Flak tower was designed in 1941 to protect the city center from getting attacked through the air during the war. Atop the tower lie canons, while underneath is a bunker that can house up to 15,000 people. Fifty years later, the Flak Tower was opened to the public. When you visit, you can climb on top of the tower to get a full view of the city, or if you are feeling adventurous, you can visit the tower for a guided tour – you may get dirty though! This secluded area is covered in a thick forest with only one gated entrance – tucked away from the typical tourist attractions. Although it is only open during the summer, if you get an opportunity to visit, you will find all sorts of beautiful roses arranged in charming Victorian structures – a once in a lifetime opportunity you will not want to miss. Tassenkochen was opened by an American living in Berlin who missed the cakes and baked goods he was used to in his home country. This cool bakery only offers organic treats built upon fair trade. The owners stress sustainability, and the support of both human and animal rights. This bar has an array of inventive cocktails, where every Friday, three additional, special cocktails are offered on top of the regular menu. Stop by on a Sunday to listen to experimental live music sessions, and every third Sunday features an analog synthesizer session for you to enjoy. Stattbad Wedding is a former swimming pool that hosts a bar, galleries, events, studios and workshops. On Saturday, it transforms to a booming techno club. Known for its great DJs, if you are a fan of electronic tunes, you will want to add this stop to your travel checklist. 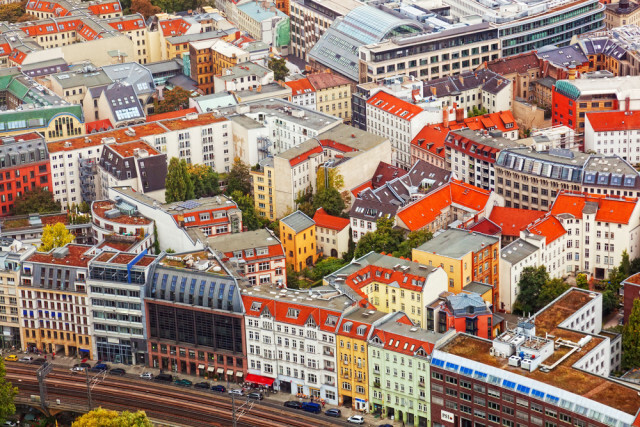 Neukolln was formerly an American sector of Berlin known for its immigrant population. That means you can have a Vietnamese lunch, an Italian dinner and a Turkish breakfast all in the same day. Berlin Burger International features simple plates that focus on fresh ingredients, and it has captured the hearts of food lovers everywhere. For a taste of something new, the Sahara offers Sudanese cuisine, including the Sahara special plate, which is comprised of grilled meat, falafel, halloumi, fried potato, salad, all topped with peanut sauce. Sauvage is Neukolln’s “paleolithic” eatery, where you will find Palleo dishes that are one hundred percent organic, sustainable, with absolutely no grains, sugars or processed ingredients. Art und Weise is a candle-lit establishment that employs up-cycling, with charming mis-matched furniture and a signature look. The bar often hosts live art, jam sessions, and film screenings. Tier is a bar that is more polished with a killer cocktail list. The thing here to do is drink – and smoke. Das Gift is a bar founded by indie band Mogwai’s Barny Burns. It has been refurbished and features imported Scottish Whiskey and beers. In the spirit of indie music, there is a monthly vinyl raffle, after parties hosted for touring bands, and late night DJ sets for you to listen to. Holz Kohlen Koks is the working space of Ivan Kiss (Famed Hungarian-German artist) who displays his own sculptures and the work of others. However, if you pay this space a visit, you will most likely see conceptual visual screenings and encounter soundscapes. Cell 63 hosts more traditional media, like illustrations, paintings, sculptures and photography. Bear in mind though, the art is not always “conservative” even though you may be more used to the medium. This student friendly area has a charming, relaxed vibe with understated places to check out that will be worth your while. This is a museum that pays homage to the history of the computer game. It features interactive stations, an ultra rare 1972 Pong arcade machine, and the “Wall of Hardware” – fifty different consoles and computers that are used for gaming. East Side Gallery is the biggest open-air mural collection, boasting over one hundred paintings done by dozens of international artists. Although this venue used to host only goth, metal and industrial music, it now is home to electropop music, new wave tunes and even hip hop. This drum and bass club is decorated with circuit boards, graffiti, and old machines, and if you are a music lover, you will surely appreciate the “beast from the east,” their super soundsystem that has been tricked out. This former power plant has two floors of interest – the Ex Turbine Hall (Berghain) where you can listen to minimal techno music, and one floor up, the Panorama Bar where you will encounter mostly house music. 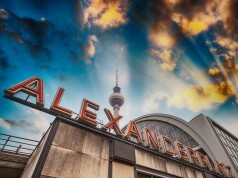 Work some of these suggestions into your itinerary to get a real sense of the up and coming spirit of Berlin. Any art, music or food lover will not find a lack of choices when it comes to finding something laid back and cool to do. Next articleImmobilienfinanzierung – wie prüft der Kreditgeber die Kreditwürdigkeit?